Steven Louth is a criminal litigation attorney in Boulder, Colorado where he has practiced law for over 25 years. He serves Boulder County and surrounding counties throughout the state of Colorado. He is a 1983 graduate of Drake University in Des Moines, Iowa where he received a B.A. in Journalism. Mr. Louth went on to graduate from The University of Denver College of Law where he was awarded the Order of Saint Ives for outstanding academic honors while placing in the top 10% of his class. Mr. Louth is a former Deputy District Attorney for Boulder County where he prosecuted from 1988 to 1996. He began his private practice in Boulder in 1996 specializing in the area of criminal law and criminal jury trials. Steven Louth has earned a great amount of respect from the population he represents for his dedication and assertiveness when pursuing criminal trials with a particular interest in jury selection. 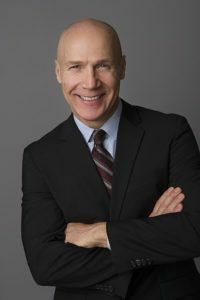 He has tried numerous felony jury trials with outstanding success, and has extensive experience in criminal litigation that has resulted in numerous published cases. Most recently, Mr. Louth made a national news appearance on FOX News, “On the Record with Greta Van Susteren” as a legal analyst. View Steven Louth’s appearance on “On The Record” on YouTube. Steven Louth has made a profound impact on the lives of his clients for many years. His commitment and passion to the legal success of his clients has earned him a reputation as one of Boulder County’s most successful criminal defense attorneys. Zachary Louth has worked at The Law Offices of Steven Louth, in various capacities, since 2007. 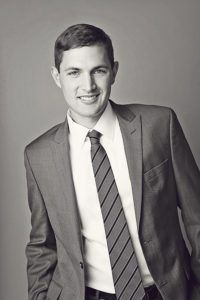 In addition to his experience working at Steven Louth Law Offices, Zachary interned at the Immigrant Legal Center of Boulder County while in law school. This experience gave Zachary an understanding of the often complicated interplay between criminal defense and immigration law. Zahary has assisted hundreds of clients in obtaining fair and just outcomes to their cases. Zachary prides himself in providing effective and caring representation to the clients of the Law Offices of Steven Louth. 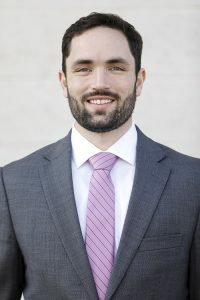 Tyler Louth graduated from the University of Denver Strum College of Law in May 2017, and recently joined the Steven Louth Law Offices. If you or someone you love has been arrested and charged with a crime, it is important to start protecting your rights immediately. Contact the Boulder criminal defense lawyers at the Steven Louth Law Offices today for a free consultation and review of your case. Call us at (303) 422-2297, or fill out the contact form on this page to start building a solid defense against these serious criminal charges.